A storytelling special for this month’s Club night. Bring your photos and tell the story. Rachel will start with the Beatles in Old St Pancras Churchyard. Usual time and place: 6pm Basil Jellicoe Hall – Wed 6th. 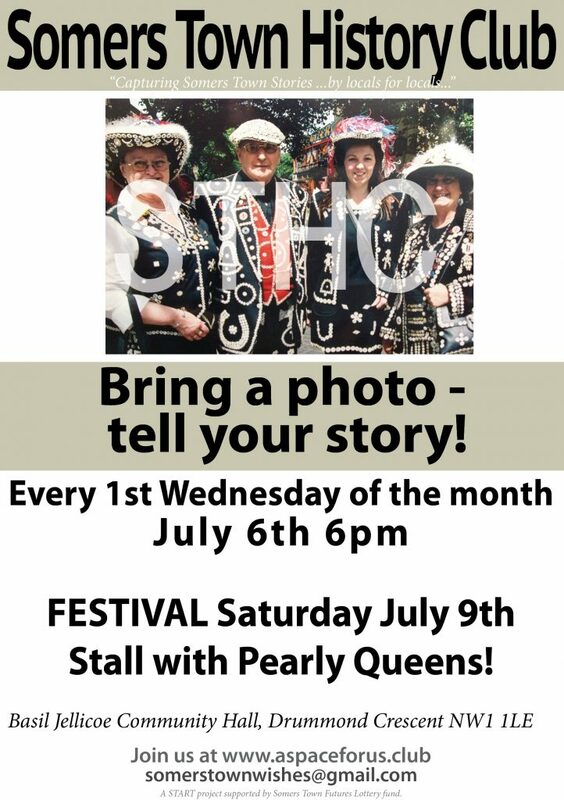 Somers Town ‘Then’ and ”Now’ exhibition, and 4 Pearly queens will be in attendance – have your photo taken with them – local photographer, John Carroll, will take photos!